Outlet Rating A-Rated outlet models are refurbished units with minor, insignificant imperfections. The Firebox 2100SS v1 [A] complies with the ACCC Safety Mandate. 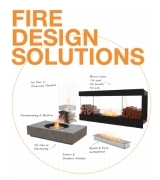 The 2100SS is a custom-designed firebox housing two XL900 bioethanol burners. This one-of-a-kind model is built upon the same standards used in our ever popular fireplace insert line. The zero-clearance design makes installation a breeze and the 304-stainless steel will never rust or warp. We don't provide any warranty for products sold under these sales conditions, nor can we accept returns of goods purchased from the outlet store. These conditions are reflected in the discounted prices. Any damage done to the model is purely superficial and in no way affects their functionality or safety. It only takes a minor blemish for a model to move into our Outlet Store. Learn more about what you can expect from purchasing an outlet model. Outlet A Models A-Rated outlet models are refurbished units with minor, insignificant imperfections. Outlet B Models B-Rated outlet models have somewhat noticeable markings, blemishes or slight color variations. Outlet C Models C-Rated outlet models have noticeable imperfections, markings, blemishes or color variations. 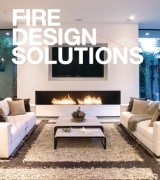 Including the element of fire in in outdoor spaces creates an impressive style statement. 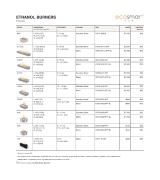 EcoSmart Fire bioethanol firebox systems are made from high-quality 304-grade stainless steel and are built to last. As there is no need for a chimney, flue or utility connection, the Firebox 2100SS offers the ultimate in fire design simplicity and flexibility. 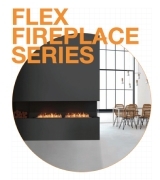 The endless flexibility that comes from a flue-less fireplace is appealing to architects, interior designers, builders and homeowners. Sophisticated industrial design features allows the Firebox 2100SS to work with a broad range of building materials and finishes. Intelligently designed for optimum heat output, flame enhancement and safety, EcoSmart’s high quality stainless steel Firebox 900DB insert will last a lifetime. A modern griddle pan aesthetic that extends to accommodate the XL700 Burner.